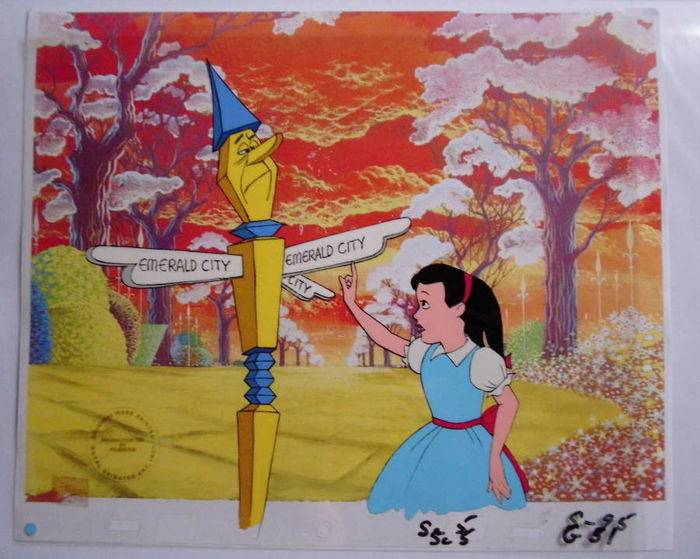 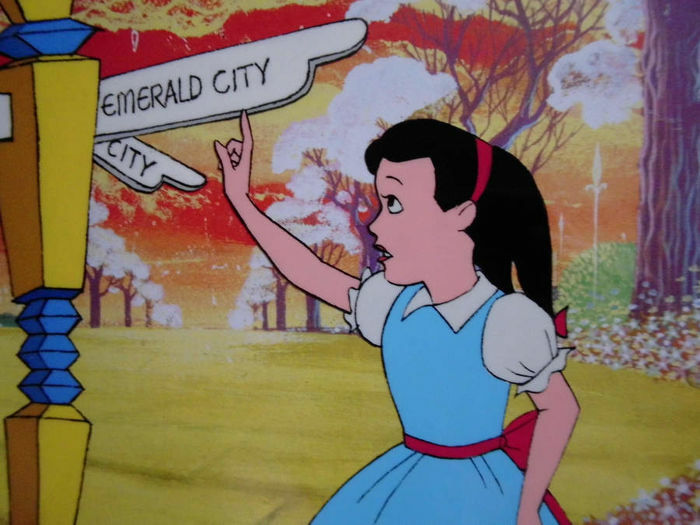 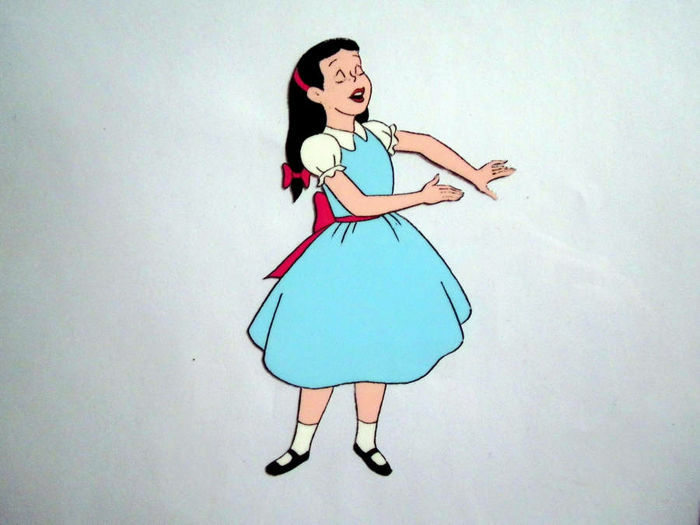 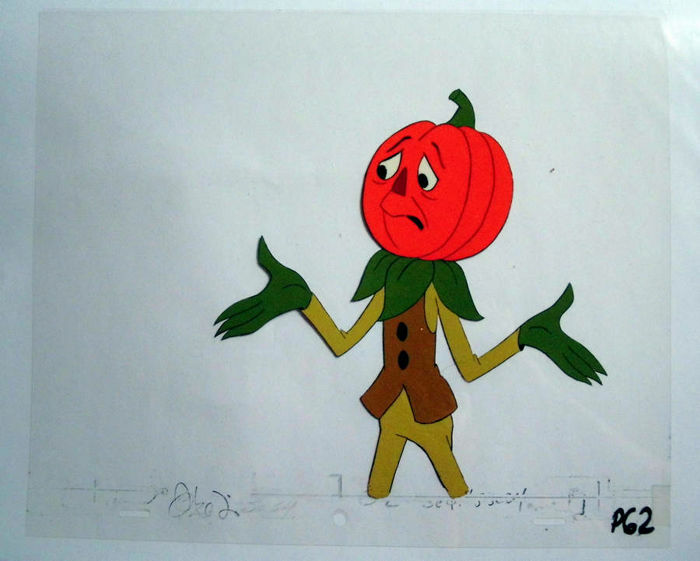 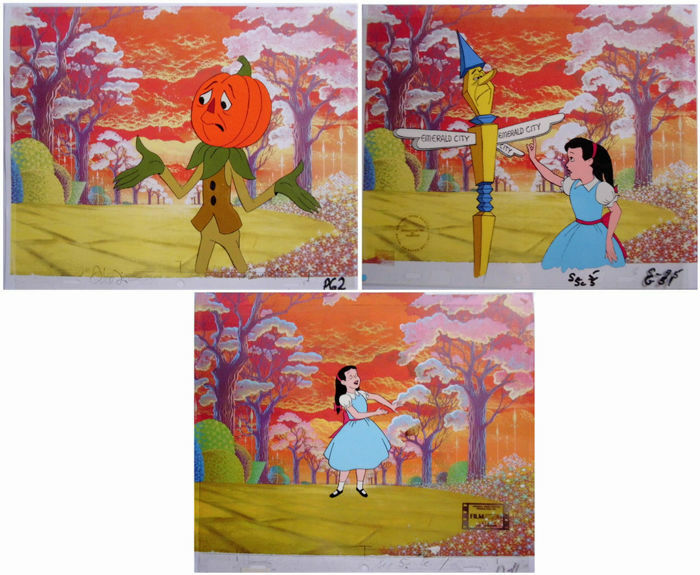 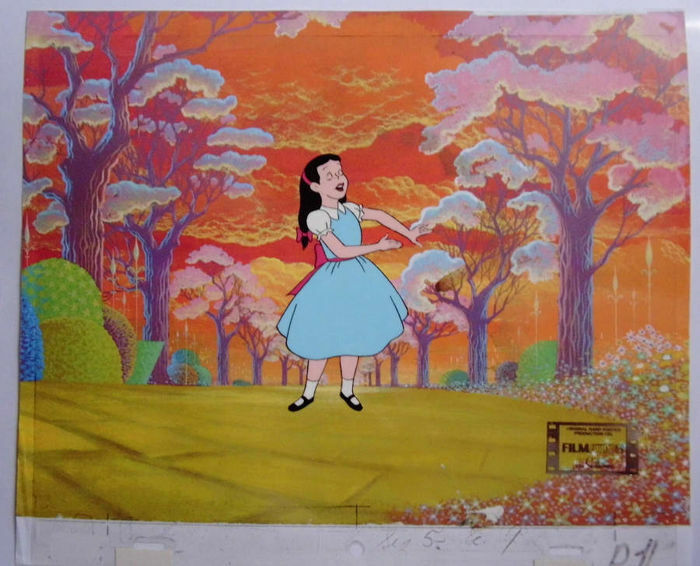 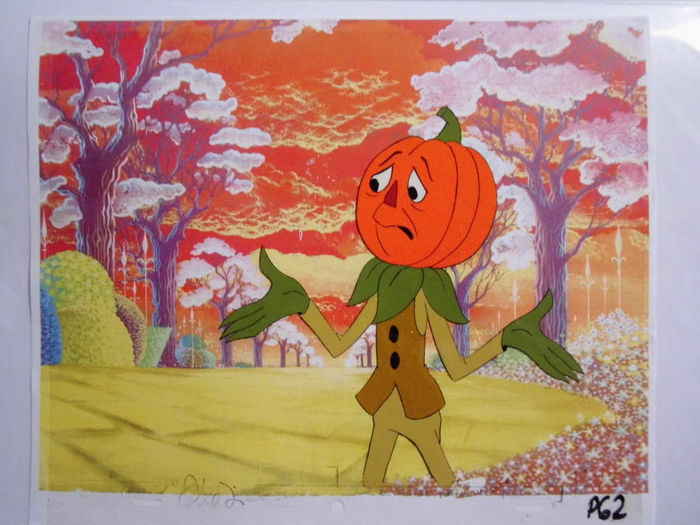 Hand painted and hand made SET of animations cels from popular cartoon "Journey Back To Oz" - is a 1972 American animated fantasy-adventure film and an official sequel to the 1939 Metro-Goldwyn-Mayer film "The Wizard of Oz"
I'm selling this amazing set with a matching, laser printed backgrounds. 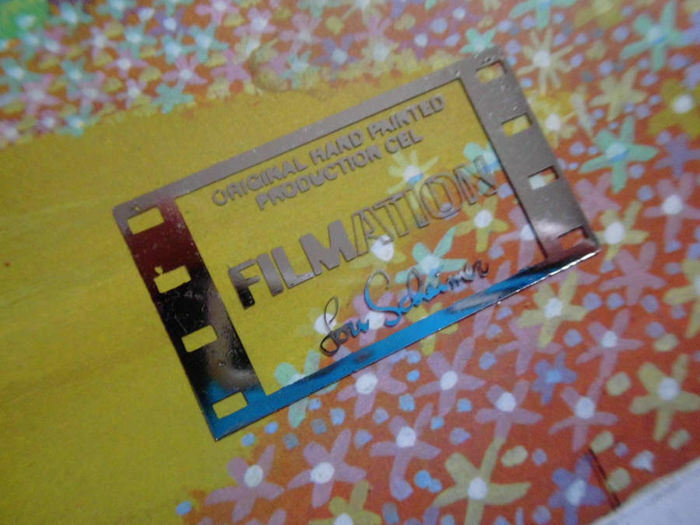 Sorry, but two foils are stuck together (on one scene). 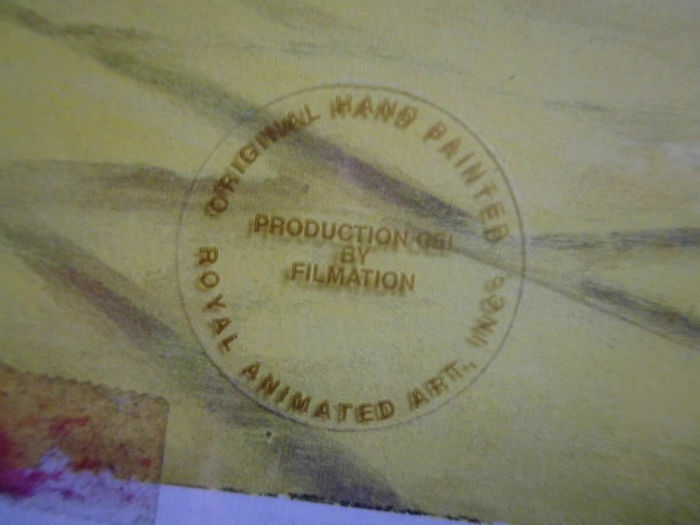 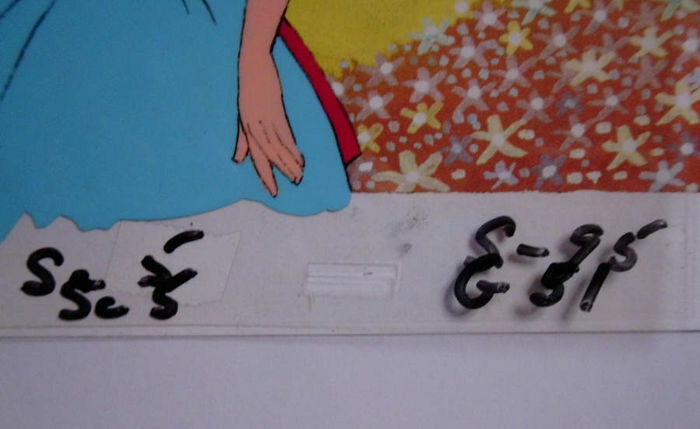 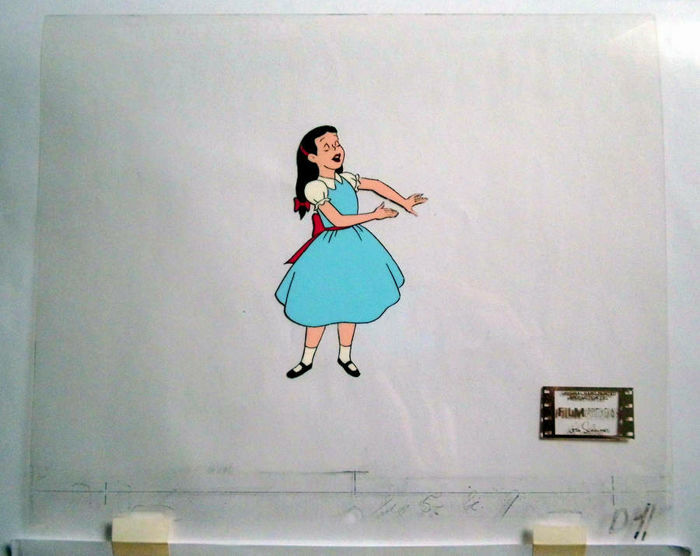 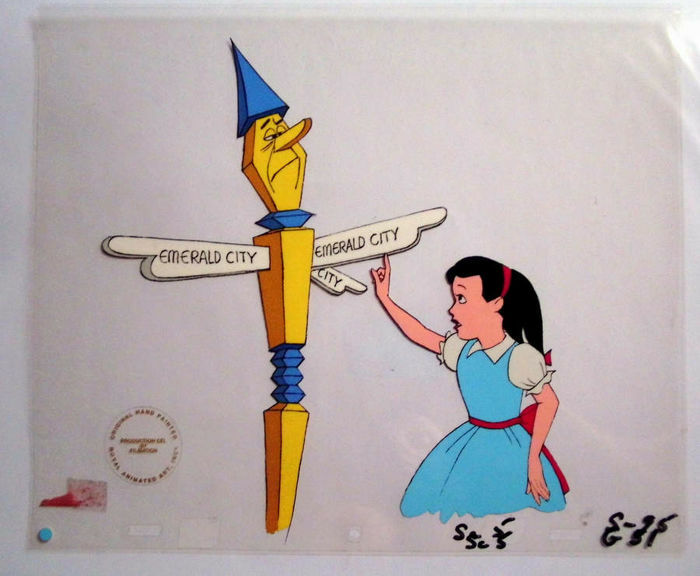 Some cels have an original stickers from the Production Studio.